Portable music devices have taken myriad forms over the decades. The phonograph is seen by many as the pioneering technology that allowed music to move into different rooms of a home. The concept of musical mobility was so novel and so attractive to all types of people that the technology continued to innovate and does so to this day. From portable record players to the many iterations of the iPod, music playing devices have never gone out of style. LPs, cassette tapes, CDs and now digital music files reveal a pattern of technological development that has consistently been driven by portability and ease of use. Today’s music playing market is saturated by MP3 players. From the Zune to the ubiquitous range of Apple music products to cellphones and tablets, musical functionality is a staple of any modern technological device. The MP3 market leader is Apple’s iPod. First launched in 2001, the intention of this device was solely to play music. However, as years went by and technology continued to evolve, newer versions of the iPod offered a range of new functions and the ability to take photos, watch videos and play games. As a result, demand for the devices increased significantly. Today the iPod is the perfect sleek, stylish and functional companion for all sorts of people, offering multimedia programming and innovative touchscreen technology. 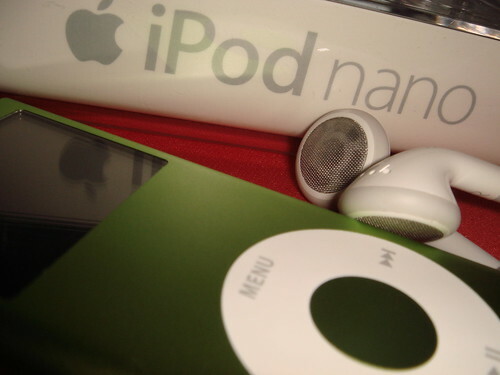 The iPod also features a range of storage space offering customers anywhere from 1GB to 160GB depending on specific needs. DJs can carry an entire music library in their pocket while commuters can choose from a selection of podcasts, audiobooks or games to keep them occupied on their way to work. The design of the iPod is also a unique selling point. The unit is aesthetically pleasing and remarkably light. It comes in a range of colours and sizes and there are abundant accessories that can allow it to attach or connect to bicycles, belt loops, car stereos and remote speakers. iPods have become one of the most revolutionary technological devices in history. They are the perfect companion for kids, adults and even the elderly. They offer a level of customisation that appeals to all age groups and their design marries form and functionality in unique and impressive ways. Often touted as an extension of ourselves, Apple technology, and specifically the iPod, creates a platform for personalised programming that has become the perfect player for the soundtrack of our lives.